It was as early as September 2012 when word first got out that General Motors and Ford were jointly developing 9-speed and 10-speed transmissions for future products. By April 2013, Ford and GM both officially announced a partnership to develop a 9-speed for FWD applications, and a 10-speed for RWD. In September 2013, a 2015 Ford F-150 mule was mysteriously spotted leaving the gates of very unfriendly territory: the GM Milford Proving Grounds. This eluded that the future 10-speed transmission was being designed with trucks, and presumably SUV models, in mind. At the 2015 North American International Auto Show, Ford pulled the sheet off the 2017 F-150 Raptor, making it the first of the two automakers to announce the 10-speed in a product. GM wouldn’t have anything to show until March 2016, when Chevrolet revealed the 2017 Camaro ZL1 at Spring Mountain Motorsports Park with a six-speed manual and 10R90 10-speed automatic transmission, a nomenclature borrowed from the Ford lexicon. The truck group had to wait. With the rollout of the 2018 GMC Yukon Denali, the wait is finally over. The updated flagship SUV features an updated grille style, ditching the honeycombed style for a more staggered, slatted look. Behind the grille are new active aero shutters to reduce drag. The interior also adds the choice of a new Mastique Ash wood trim, and the big mechanical update, finally, is the 10-speed automatic transmission. It may have share hardware with the new 2018 Expedition Platinum, but the calibrations and software for the 2018 Yukon Denali are unique from Ford. 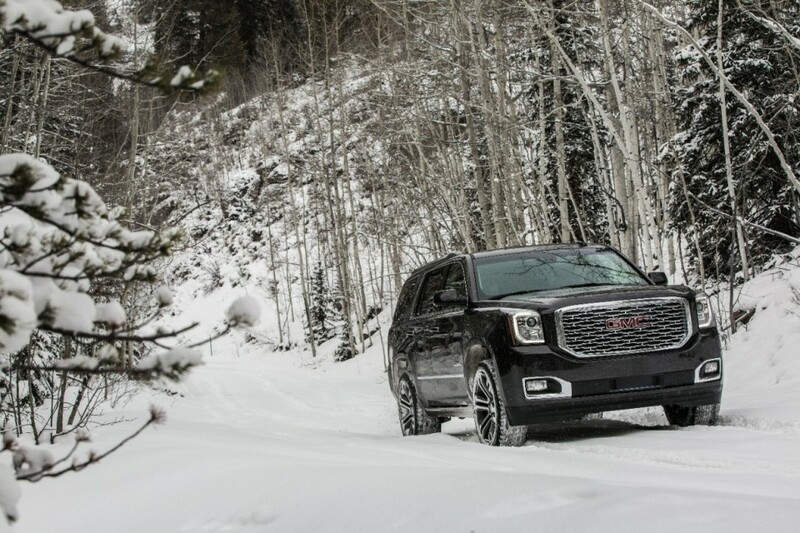 To drive the 2018 Yukon Denali, GMC sent us to Colorado. The course was charted through I-70, from Denver Airport to Beaver Creek, just outside of Vail. With it comes the opportunity to drive through the Eisenhower Tunnel. An elevation of 11,158 feet, over two miles above sea level, before descending back down to Beaver Creek, at 8,080 feet. Denver Airport sits just over a mile above sea level, at 5,430 feet. These elevation figures are important because the altitude thins the aspiration of the Yukon Denali’s 420 hp, 450 lb-ft L86 6.2L V8 engine, while the climb promises a healthy workout for the new transmission. With a gear ratio spread of 7.39, the first eight gears are all slightly taller than that of the 8L90 eight-speed transmission, which isn’t going away. With the rollout of the 10-speed, the 8-speed will rank beneath it in the pecking order, holding place in the standard GMC Yukon and Yukon XL. Additionally, the 7.39 gear ratio spread is wider than the 7.0 ratio of the eight-speed automatic it replaces, and thus allows engineers to give the GMC a lower top gear ratio without the sacrifice of performance. As for fuel economy, EPA numbers remain unchanged from the 8-speed to the 10-speed in the 2018 GMC Yukon Denali, but engineers insist real world numbers are marginally improved. Instead of making it a fuel economy push, the 10-speed aimed to increase refinement and driver confidence. 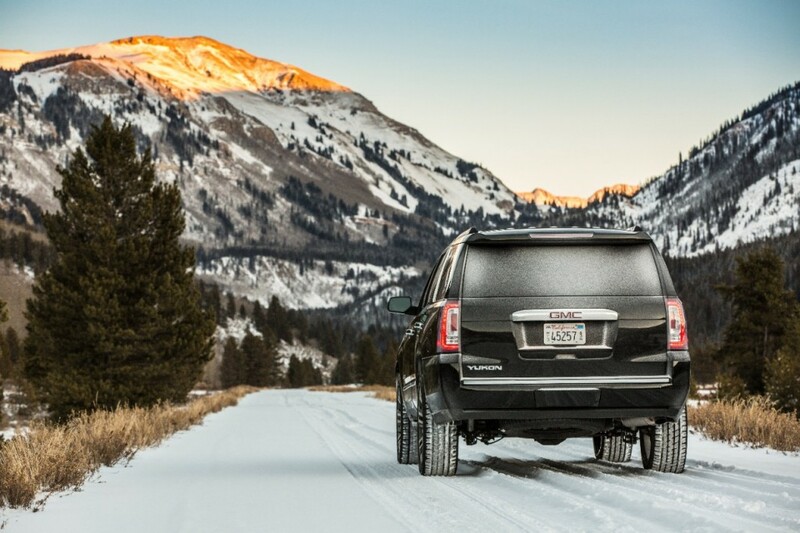 Uphill climbs in the big GMC are robust. In part because the Yukon Denali is equipped with sensors that feel when the vehicle is climbing up a grade, and holds the gear when appropriate. The same goes for the downhill. Upon cresting the Eisenhower Tunnel, we mostly coasted down the I-70 in sixth gear, using the gear select mode (activated by tugging the column-mounted shifter to L-mode, and using the “-/+” buttons). Good luck trying to coast in sixth gear in a Yukon from 4 years ago. Qualms? A few, but nothing that won’t change until GM rolls out its next generation of SUVs. The mirrors, as maybe you’ve heard or experienced before, come off as too small, and finding the proper visual angles for them can be a bit of a trick. Then there’s something else. The obsessive attention to the SUV’s aerodynamics (a bit oxymoronic, sure) seemingly attributed to a build up of grime and melted snow that was caught in the slip stream. This muck accumulated between the front windows and the mirrors. In effect, we essentially lost all outer mirror visibility through the snowy mountain passes in these unfavorable conditions. Lane changes then involved helpful spotting from the passengers. For an SUV with a sticker near $80,000 out the door, there has to be a better way. 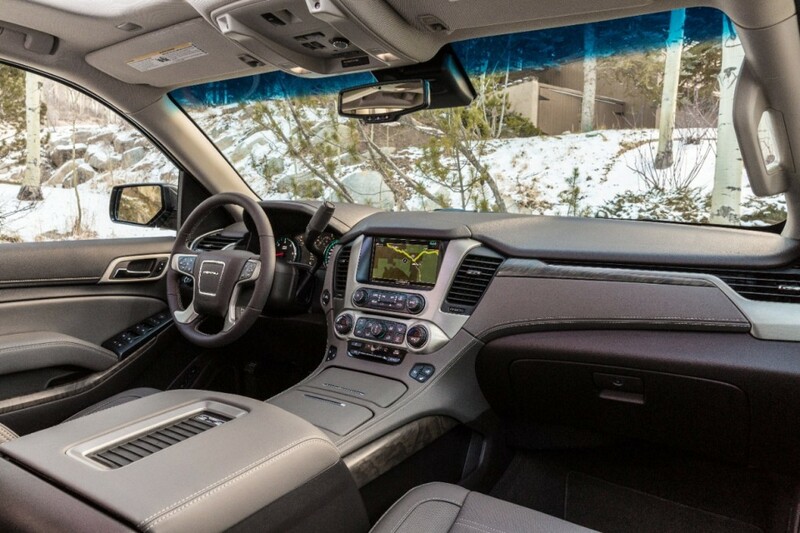 For the die-hard SUV buyer, the cons of the Yukon Denali are easy to run right over, and the new 10-speed automatic transmission feels right at home in the GMC flagship SUV. It’s an improvement in just about every metric we’ve experienced, and makes the vehicle feel that much more uncompromising. It’s quicker, it’s smoother, it’s downright more refined. Soon, we hope to spend more time with the 2018 Yukon Denali to garner some city-street experience with it in Detroit traffic. For now, things appear promising. An awesome looking truck . I hesitate to say that I like this better than the Escalade . The front end just seems to be more menacing . Cadillac is more luxury . I wonder how those active shutters work in the snow and cold weather , is the grill enough to stop them from becoming snow packed ?